Spruce up your North Shields home without draining your wallet. 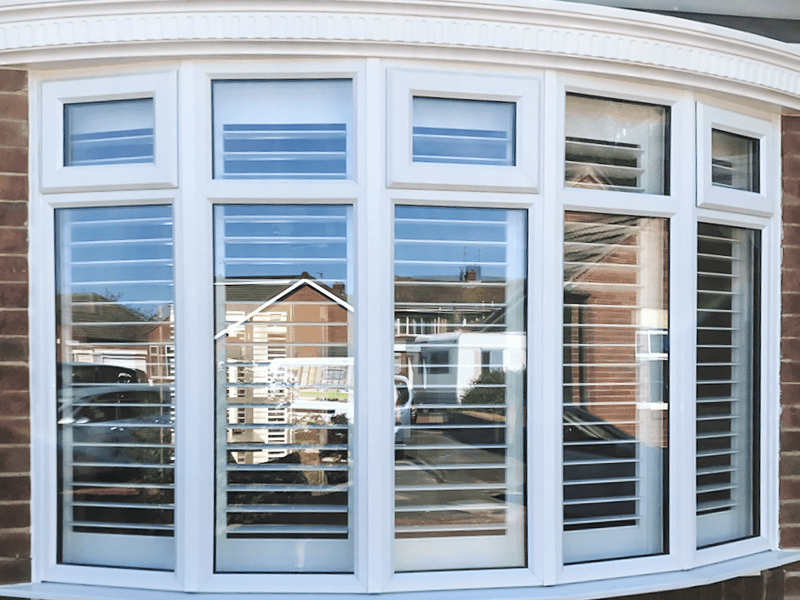 Conservatory Shutters in North Shields for the ultimate finish and convenience. Here’s an example of a beautiful choice of sliding Bi-fold shutters for the door. 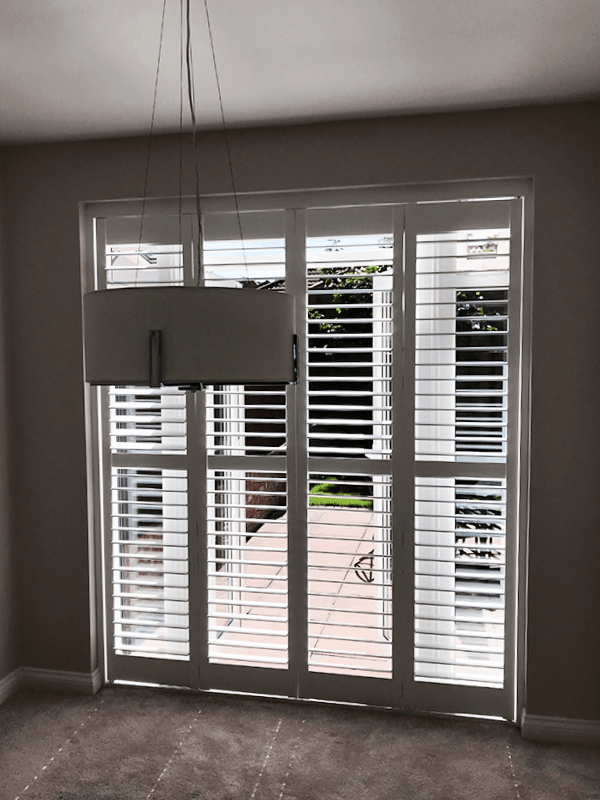 During that day we also installed matching window shutters to compliment the luxury style of the room. Sliding door shutters are available in Bi-fold type which means that they can be folded back along the track. 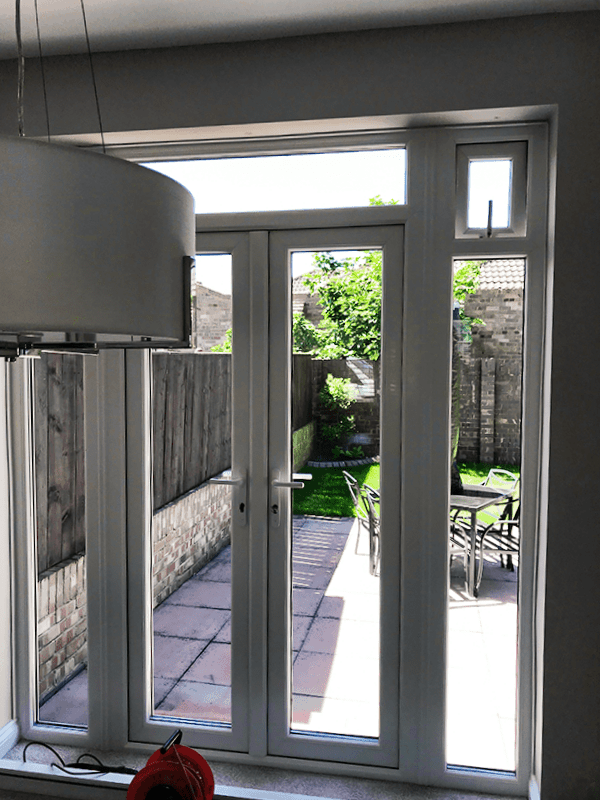 Bi-fold sliding shutter doors are ideal for patio or French doors as they do not require bottom frame. Our bi-fold sliding shutters are available in a variety of colours and materials. 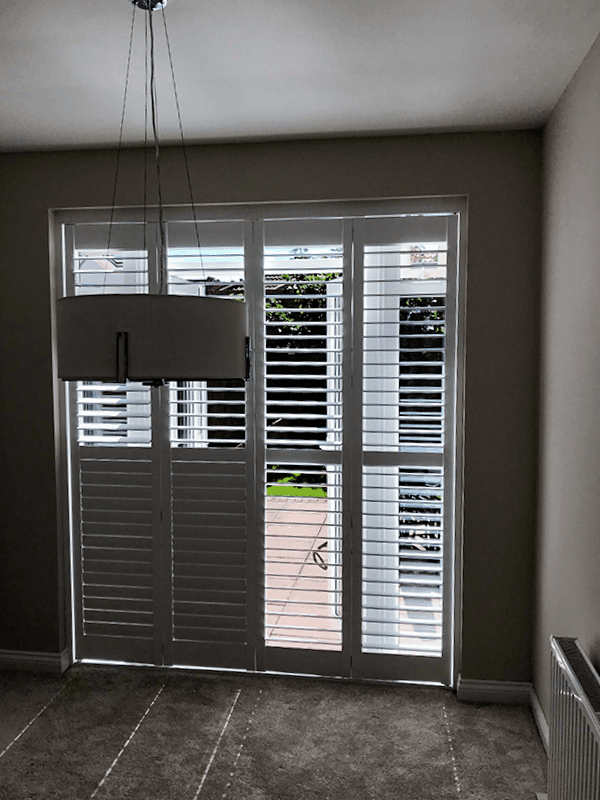 The most popular white door sliding shutters will add a touch of luxury to your interior design. They are not only ideal for sliding window shutters but they fit well as room dividers. 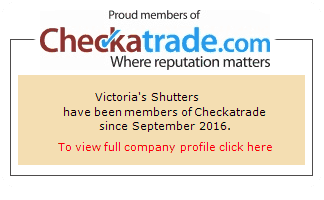 Plantation shutters will shape a bay window beautifully to become the stunning centrepiece of your room. Bay windows not only look great, but they leave some space that can be used for a dining table or a private corner. These are simply terrific pockets of space, so why not dress them in style! 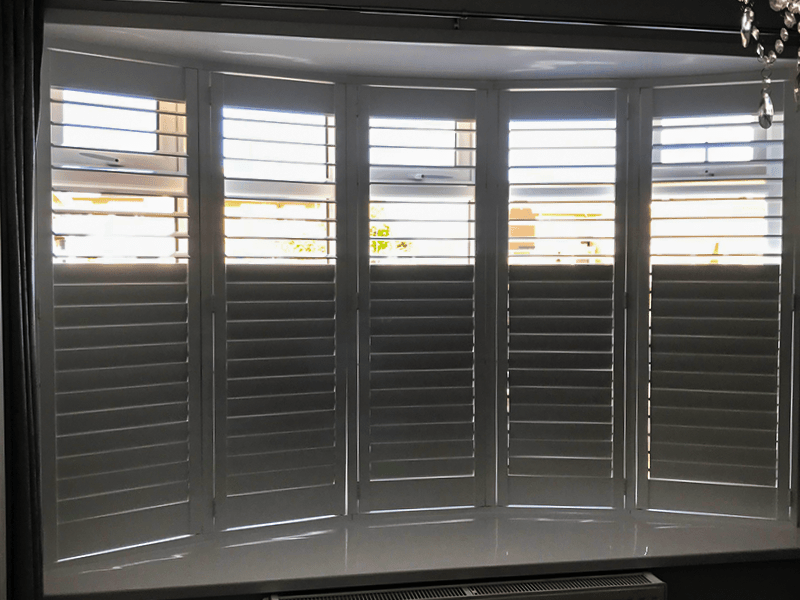 Whether you need extra seating or just some lovely space to rest, plantation shutters will make the area look so much more enchanting!